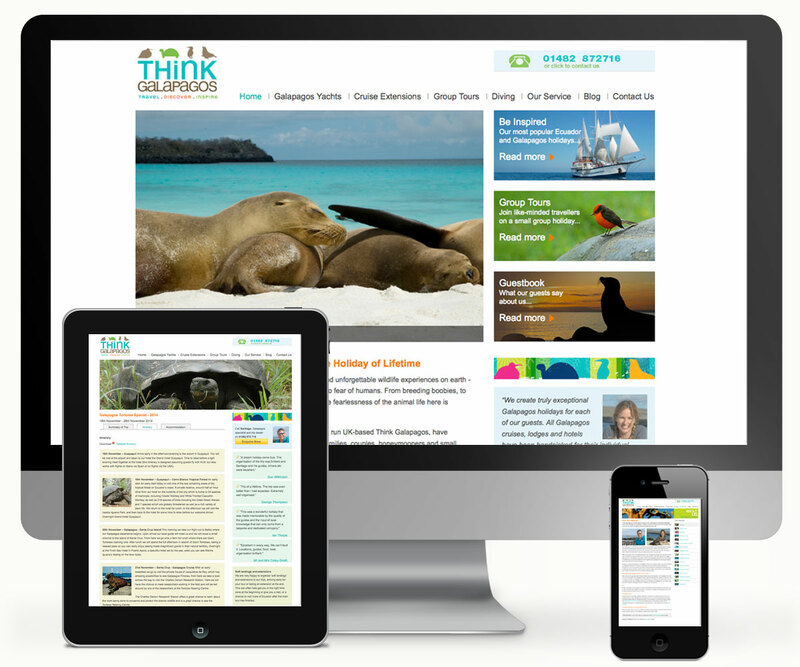 Think Galapagos Website - 939 DESIGN, Hull, Yorkshire. Inspired by a genuine love of the flora and fauna of Galapagos and Ecuador, Think Galapagos are specialists in creating tailor-made Ecuador and Galapagos holidays to suit a range of interests and budgets. Our reputation has developed through our deep knowledge and love of Ecuador and Galapagos which allows us to offer exceptional wildlife holidays and great value. We work directly with yacht operators to get you the best deals on our handpicked selection of the very best Galapagos cruises and hotels in Ecuador.